There are 5 reviews of Aigner Man ². In my Opinion This Composition is not Aromatic as I find it a Oriental Woody.the first impression of it to me was a Extreme Sweet Scent But Not in a Sophisticated Way and Definitely it is not a scent for Everyone. Modern, Common,Masculine,Simple,Mature and Woody. The top notes is Sweet and Strong and Two spray is enough to get Cloying!In fact Amber and Vanilla in the Base notes gives is that Sweet Essence.The base notes is Little Better of Top and Middle notes for me but It smells Give me a Headache. Surely I like my Fragrances to be Desirable and Likeable from Start to finish So this fragrance is not for me and I prefer AIGNER PH than it.This AIGNER EDT is Suitable for EVERYDAY use in AUTUMN/WINTER but without doubt it is necessary try before You buy. Actually when I saw the note break down I was really shocked! I didn't smell any tobacco at all! maybe my nose has a problem but I didn't get any tobacco! 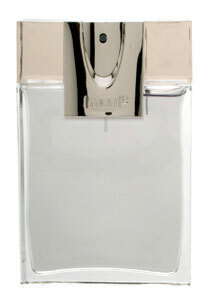 The opening is semi fresh and sweet scent with huge dose of spice which come from cardamom! It's warm and sweet with spicy and bitter scent because of the cardamom note. The lemon trying to picking in and you can smell it but it's in the background and after around 5-10 minutes it's gone! In the mid you will have a so sweet scent from vanilla and amber surrounded with some herbal notes but again because of the strong sweetness they are in the background. In the base the smell didn't change too much! the sweet notes settle down just a bit, the herbal notes are almost gone and you can smell muted woodsy notes. Very good projection at the start but settle down really quick and become skin scent. the longevity is above average. Good juice but there is nothing outstanding or unique or even new in the game! It's sweet but not sugary sweet. The mix of woods and patchouli with tobacco makes for a wonderful yet fresh scent without the ubiquitous "fresh accord" that's found in all aquatic fragrances. Yet this is not an aquatic. For something simlar but a little desner in the woods and sweetnes, try Jil Sander Man (the purple, rectangular bottle). Somewhere between Paco Rabanne Black XS and the like. not as sweet as Black XS, not as leathery as Polo Explorer, not as synthetic/fresh as Versace Man eau Fraiche. As it dries it gives off Armani Code vibes...interesting but not amust have in my book. It reminds me strongly Mechant Loup from L artisan Parfumeur. Soft delicate scent. I think its fine and could be easily a niche creation. There are no member images of Aigner Man ² yet. Why not be the first?